Due to some Launchpad changes, the PPA package search feature available in Y PPA Manager stopped working properly a while back, returning just part of the search results. 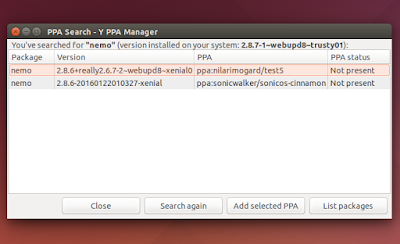 The latest Y PPA Manager 2016.03.11, which I released today, fixes this issue. 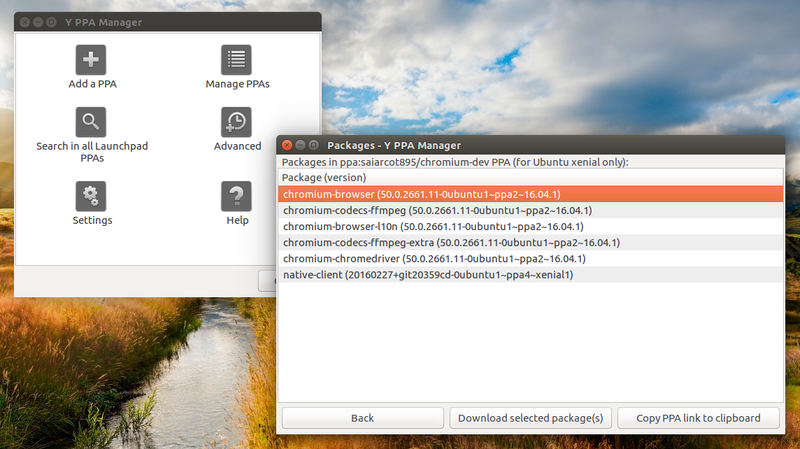 Other changes in the latest Y PPA Manager 2016.03.11 include the removal of the "Install" feature, which doesn't work in recent Ubuntu versions and wasn't actually used by most users, moved the help into the main UI and various small bug fixes. Under the hood, the application uses bash scripts and YAD for the user interface. Because of some limitations in YAD (which is still much better than Zenity), the GUI is not exactly perfect, but it does the job.